There are some letters that just aren't that fun to create work for, but the letter F isn't one of them. 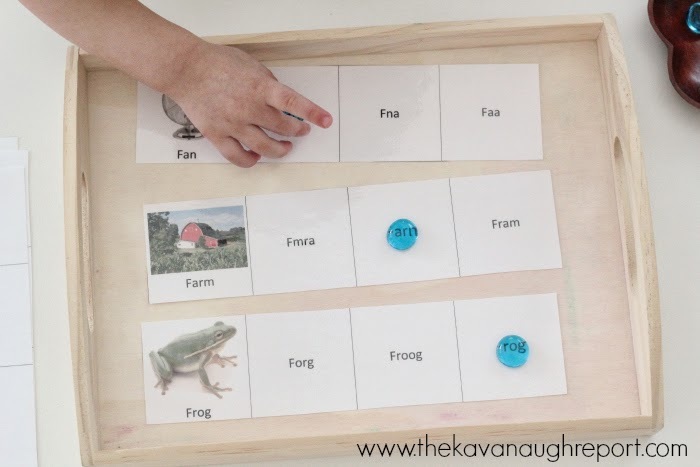 There are so many great ways to explore the letter f, because there are just so many great f themes. 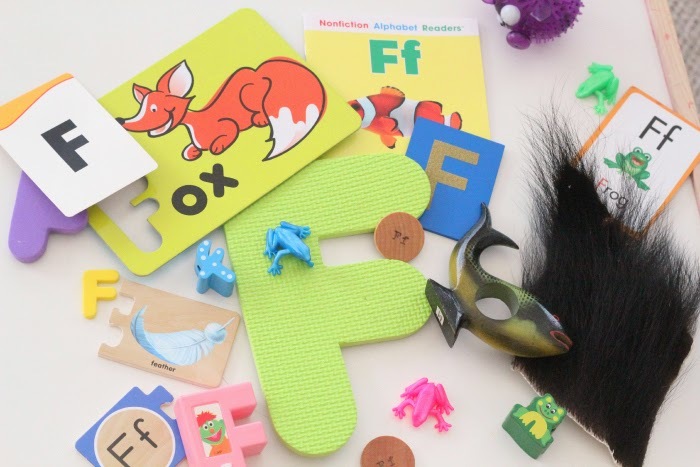 Here are some letter f tot school trays that we worked on with Henry. 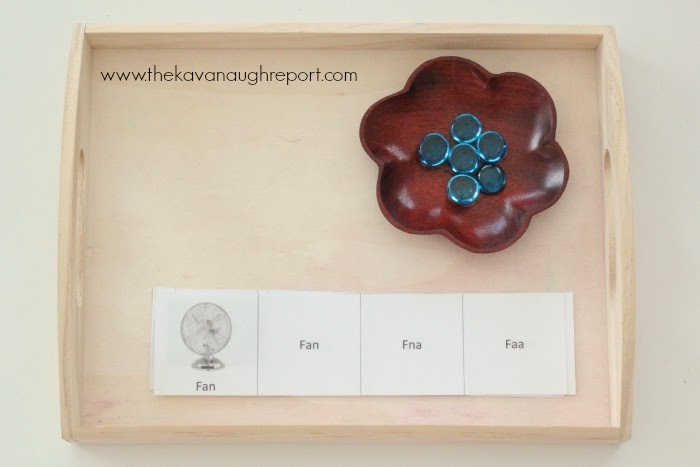 On our first tray was the button flower color matching work that I used in our spring unit last year. It was a set of felt flowers, corresponding button stems, and a corresponding color sheet. Henry still loved this tray this year and had a bunch of fun again matching the colors. He was much better this year at getting the flowers around the buttons. 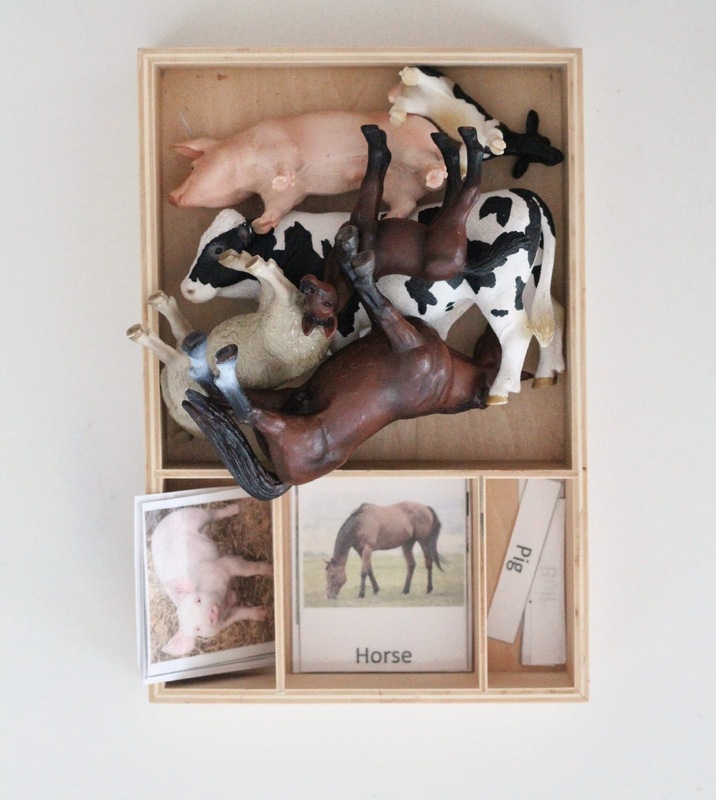 The second tray was a set of 3-part farm cards with different farm animals. I paired the cards with our set of Schleich farm animals. Henry still struggles with matching the words on his own but enjoys matching the cards and animals. 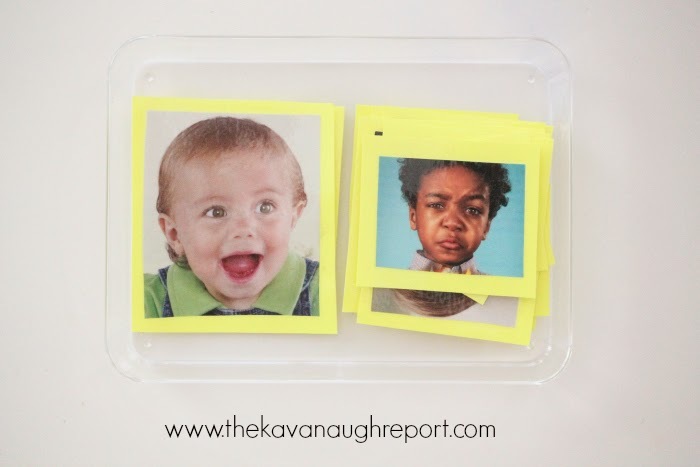 The third tray was a set of cards which asked the kids to match the correct word with the picture. They had a picture of the word and its name spelled correctly. Then, they had three choices -- two of which were close but wrong. Then, the tray included small beads to place on the correct word. This was a big hit with the co-op kids and provided a good challenge. Henry wasn't very good at finding the correct word, but liked trying. Block puzzle -- we used this last time too. Henry still struggled with it, but enjoyed it a lot more than last time we used it. 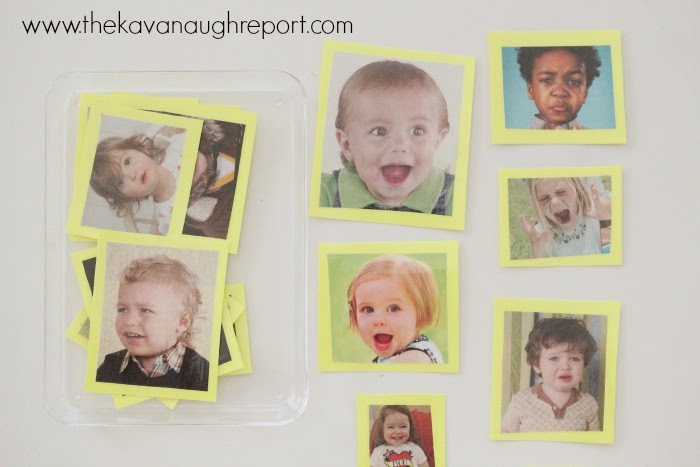 Feelings Cards -- I cut and laminated a bunch of baby/young child pictures from magazines with different happy/sad/surprised faces. The kids could then sort them into their respective feelings. Magnet Board -- Complete with a set of wooden farm magnets. Everyone enjoyed making their own farm. 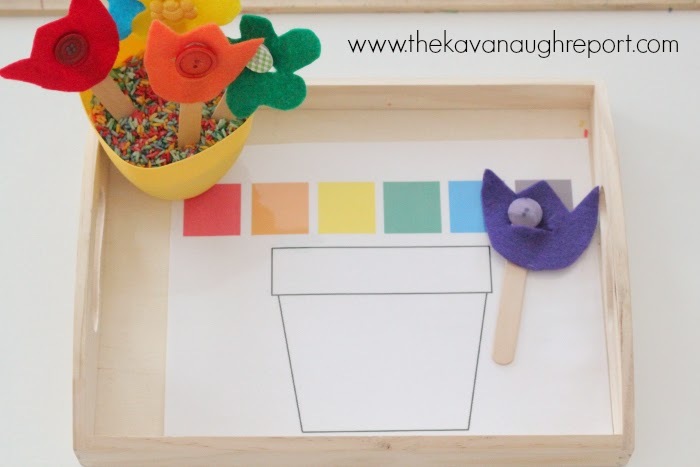 That felt flower color matching activity is adorable!